Sky thread box...featuring 8 DMC perle cotton balls...no 8. 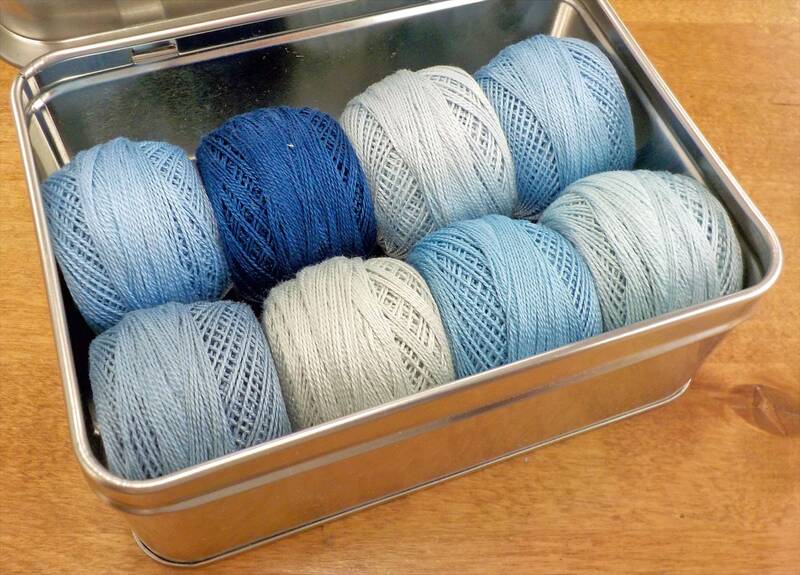 A collection of sky blue threads...ranging from soft blue to deep blue. DMC perle cotton is perfect for 3D embroidery/Brazilian embroidery, hardanger, wool applique, crocheting, tatting, and crazy quilting.